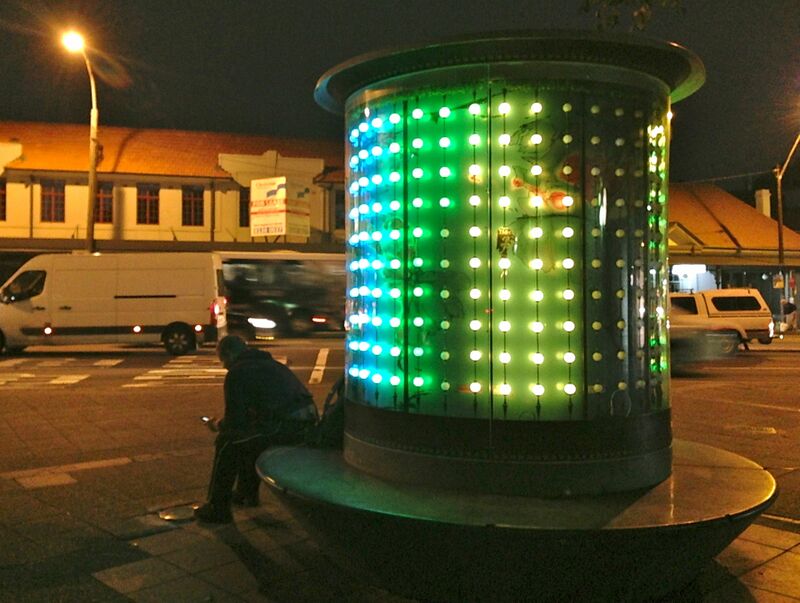 To coincide with this year’s Vivid Festival and the Internationally Symposium of Electronic Art, Marrickville Council has installed an ECO LED light artwork at the Newtown Art Seat on King Street. Greens Councillor Sylvie Ellsmore is a member of the Newtown Art Seat Committee and was on the selection panel for a number of the artworks to be installed at the Art Seat. Clr Ellsmore said, “The Newtown Art Seat is a space in the heart of Newtown for local, emerging and established artists to display their art. “I am extremely proud that this year that Marrickville Council has focused on artists and artworks which bring a new level of interaction to the Newtown Art Seat, said Clr Ellsmore. The current artwork is entitled “Terra Lumen Sedem” – “Earth Light Seat” and was installed by artist DV Roger. It features real-time data sets about seismic activities taking place across the globe, such as temperature, UV Index, atmospheric pressure and lightning. Seismic data is transmitted to multicoloured LED lights overlayed on maps. Clr Ellsmore said “Local Councils have an important role in supporting and promoting our local artists and public art, including street art. “I look forward to working with Council on further innovations to promote the art seat and how residents engage with it, in the coming months,” said Clr Ellsmore. 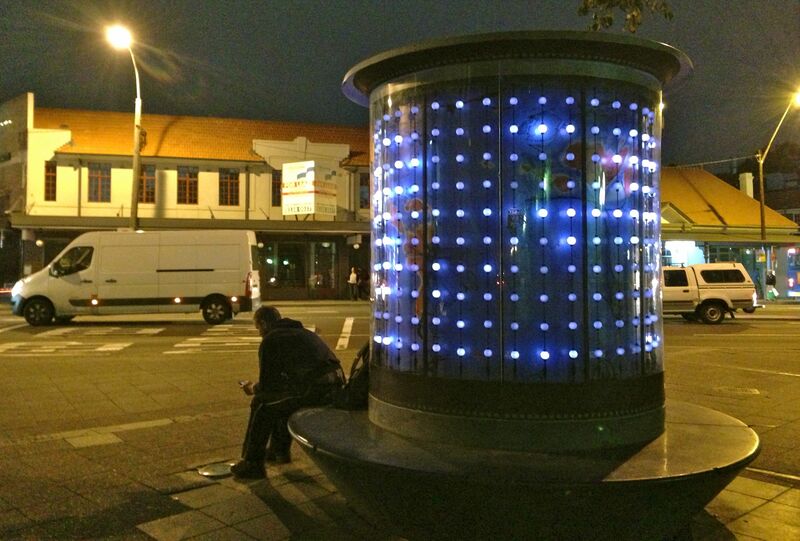 The Newtown Artseat is managed by Marrickville Council with support from Arts NSW and the City of Sydney. More information can be found at http://www.marrickville.nsw.gov.au/community/arts/publicart.html or by contacting Council’s public art team.